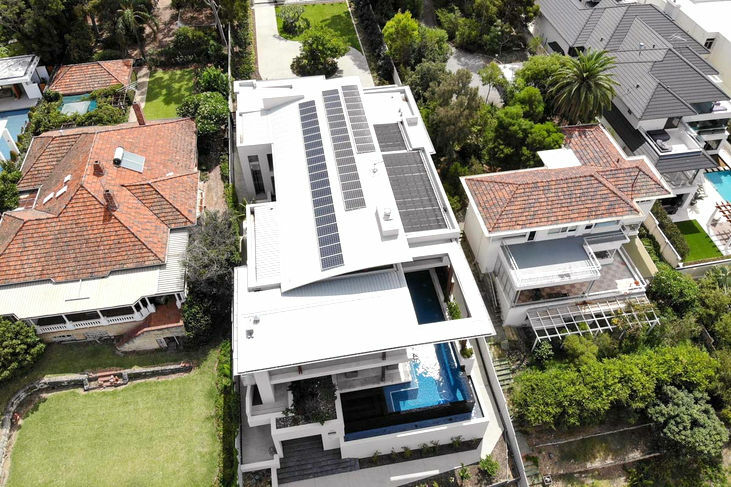 We work with some of the finest builders, architects and home owners during the planning stages of a building to advice on critical design parameters for a solar powered home in Perth. Solar panels on roofs in Western Australia deliver the lowest cost electricity. The house of the future is a energy-plus home, producing more energy from renewable sources than it consumes over the course of a year. The easiest way to integrate solar into a new home is to plan for it right from the beginning during the design stage. We will guide you from the planning stage until the final completion of the project. Send us your building plans (pdf copies) to or get in touch to book an appointment with us. Some of the common questions that builders, architects and home owners interested in solar power systems in Perth ask us. Are there rebates and financial incentives available for solar on new homes? Yes, we will discuss with you what rebates are available for solar power and for hot water and what conditions need to be met in order to be eligible. How many solar panels do I need for a modern home? That depends on the size of the home, your average daily electricity consumption and your goals. We have guided many home owner through these questions. Get in touch with us today and we can give you some guidance. 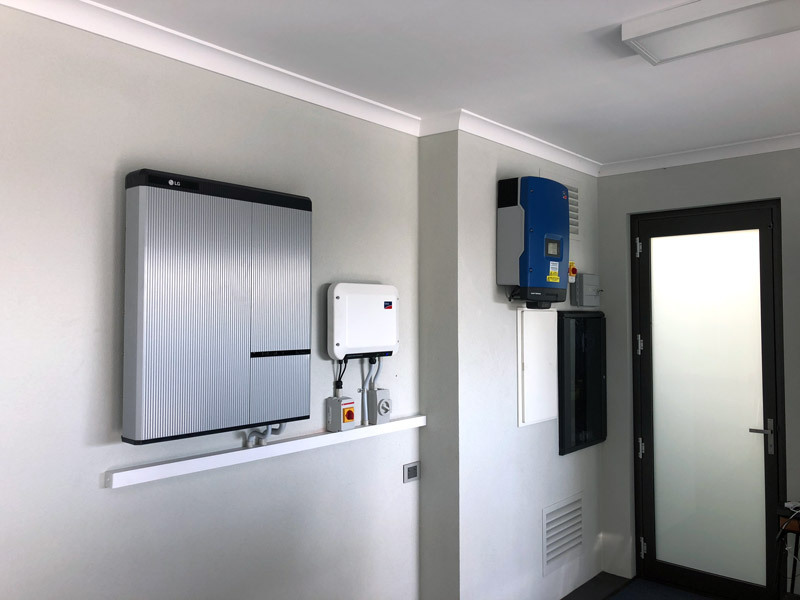 The payback time depends on various factors but generally speaking, a solar power system for a home in Perth pays for itself usually within 4 to 6 years. What about battery storage for energy use at night? A solar battery system can be fitted to store the energy for later use at night. We use high power lithium batteries with a 10 year limited warranty. Why does it make sense to plan for solar power right from the start? When solar is planned for right from the beginning, many construction related factors can be catered for such as cabling ducts and routes, pre-wiring of communication cables, DC and AC cables, the positioning and the size of the switchboard, battery and solar inverter, the available roof area, choice of roof material that makes adding solar a straight forward process. Also visual aspects such as the visibility of the system from the street, the use of glass on glass solar panels, black framed solar panels, 3-phase or single phase systems and roof access on multi-storey buildings are important factors to consider. Performance related aspects such as the orientation and tilt for optimum energy output, the positioning of flues, pipes, antennas well out of the way of the solar modules can all be planned for. Special care needs to be taken when planning systems for large developments and multi-residential developments. For systems above 30 kVA stringent Western Power requirements need to be fulfilled in order for the system to be approved. We organise Western Power approvals for systems 30 kVA to 150 kVA. Get in touch with us to schedule a planning meeting.